What Did Bulimia Do to Me? Bulimia is an eating disorder which causes intense shame and lack of control from within. And since this eating disorder is, most of the time, well hidden by its victims, it is more prevalent than we thought. 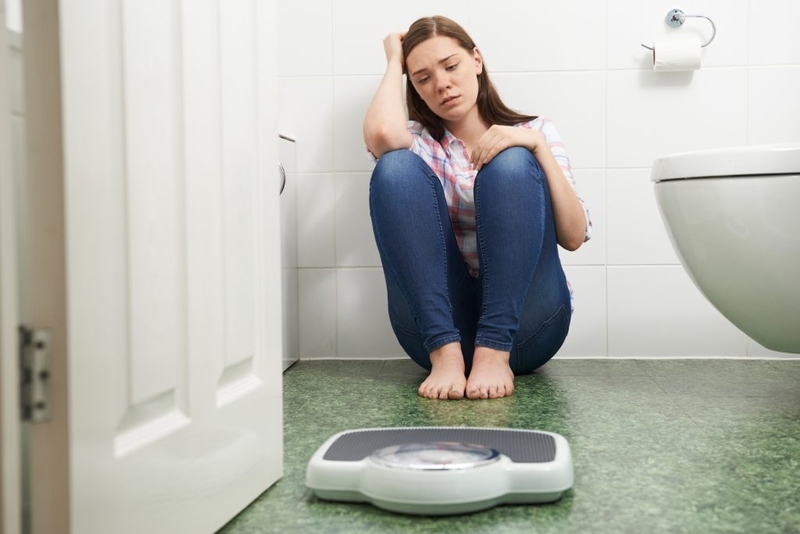 According to the National Institute for Mental Health (NIMH), bulimia nervosa is common to persons aged between 18 to 59, and the usual age when bulimia hits is 20. It is said that about 0.6% of American adults are affected by bulimia during their lifetime. Mostly, females are the ones who present symptoms of this disorder. Before discussing the topic "what bulimia did to me", let's first find out what bulimia is exactly. Bulimia nervosa, or bulimia as it is popularly called, is a type of eating disorder which can be life-threatening. A person with bulimia will usually binge and then purge. Binging means eating large amounts of food, while purging is the act of removing extra calories in an unhealthy way like forcing vomiting or doing excessive exercises. Bulimia is not all about food, but it is about how you look at yourself. You may perceive yourself as someone with unacceptable weight or ugly body shape. These are all self-perceptions which make bulimia hard to overcome, but with the right support and treatment, you will be able to combat its serious complications and develop good eating habits. Do you want to know what bulimia did to me? Bulimia has not only tortured me physically, but also challenged me emotionally. I was ashamed to let other people know what I was going through and so I tried to cover things up. I played loud music and ran the water every time I vomited in the bathroom. But then I felt like nobody cared for me. I felt that my parents did not love me because they did not notice my agony. But it is me who's good at holding back and hiding, I want to get mad, but I just can't. Bulimia not only makes me hide in shame, but it also makes me dehydrated. Dehydration is the lack of water in the body. I suffered from fever, chills and made my immune system really weak. I had to take lots of water to replace the water lost in my body. At first I thought I could control myself from inducing vomiting or not. I would purge each time I thought I ate a heavy meal, but I won’t if I had a light meal. But as time goes by, my bulimia starts to set in its own rules over me. I can't stop from purging, I just can’t. I vomit after each meal and then I start to feel sick. My eating disorder has controlled me, all of me. I really find it offensive when somebody talks and jokes about bulimia. When somebody says, “How can bulimic persons do that? It’s so gross!” It’s not funny. It is easy for other people say these things because they never know what bulimia did to me and to many other sufferers. Having bulimia is like hiding a monster in my closet. I always believe that no one will truly love me as long as I have this eating disorder. I think it is a gross disorder and no one can put up with my situation. I also hate myself. I even think that I will never get rid of bulimia and because of this, I can never love myself again. Aside from feeling sick every time I throw up, I find out that bulimia won’t really help me lose weight. I've done my own research and find that every time I purge, I hurt my teeth, erode my esophagus and wear some of my chest muscles. Aside from these, I also find out that by the time I throw up, my body have already absorbed the nutrients, calories, fats and whatever there was in the fatty meal I ate. That is to say, I'm just hurting myself without any benefits. Bulimia has consumed my health, money, relationships and the whole of me. I'm truly heartbroken because bulimia only brings about physical, psychological and emotional stress. Bulimia is slowly killing me and nothing good comes out of it. I experienced throwing up spaghetti with its noodles sticking up on my throat and the other half on my nose. Sometimes, it goes out of my nose when I vomit aggressively. Nothing is lovely about bulimia, and it is quite disappointing that this eating disorder is romanticized nowadays. Face the facts because all I get from bulimia is a crippling headache, watery eyes, dehydrated skin and a sore throat. Sometimes I heave for a few minutes, and when I finally throw up, it makes me lose some control of my muscles. I feel weak, my knees trembling and my chest muscles hurting. Sometimes I uncontrollably fart or pee while I throw up. This makes me pity myself more. Perfumes and hand creams are musts on my purse. I always need them especially when I am outdoors to cover up the sour scent of my vomitus that engulfs my whole being. The thought of going out on a dinner date or even a lunch date is a nightmare for me. As much as I want to eat a sumptuous meal and just enjoy the company of my date, I just can’t. Restaurant restrooms are not discreet and throwing up cannot be done quietly. Being so paranoid about my date knowing my situation, I don’t think I can still enjoy the night away. What bulimia did to me was to give me a regular sore throat. I felt like there were two gobstoppers on both sides of my throat. Maybe these are glands that swell because of too much vomiting. My teeth become fragile because of the acid that comes out each time I vomit. Large amounts of enamel were taken off, making them look like a “see-through” colored teeth. Throwing up after each meal was very tiring. I always felt exhausted and wanted to sleep most of the time. Server responsed at: 04/22/2019 8:08 p.m.